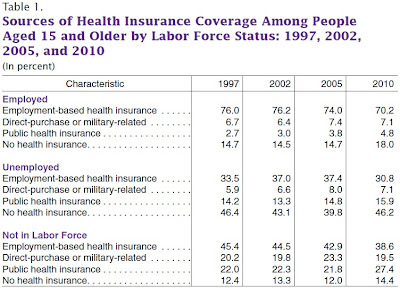 The share of the U.S. population over the age of 15 covered by employment-based health insurance (either by their own employer or as a dependent) has been falling, dropping from 64.4% in 1997 to 56.5% in 2010. 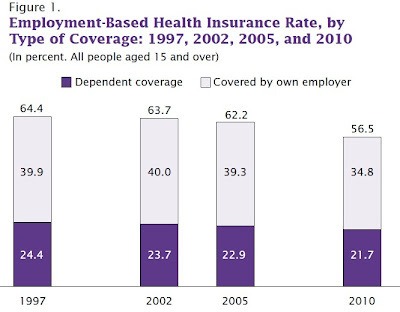 Of the employed, 70.2% have employment based health insurance in 2010, down from 76.2% back in 2002. 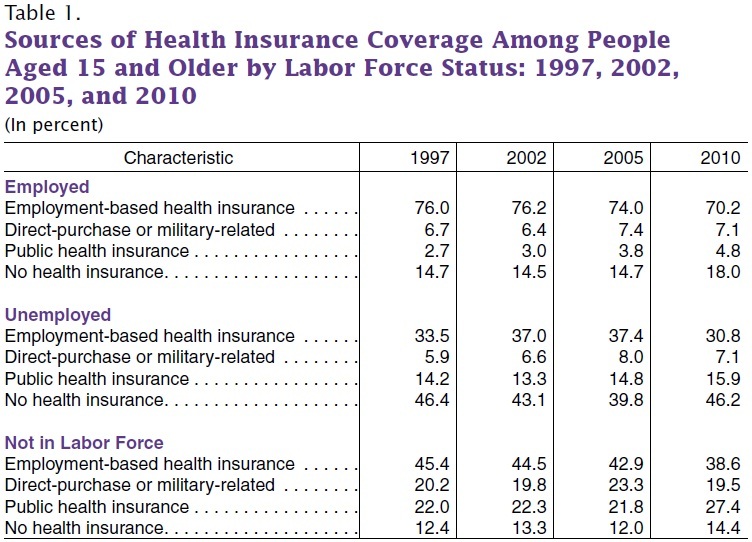 Of the employed, 18% have no health insurance in 2010, compared with 14.5% of the employed back in 2002. In other words, employer-provided health insurance has long fallen short of universal coverage, and it's been getting skimpier over the last decade or so. For example, those with lower incomes and those working for smaller firms are less likely to have employer-based health insurance. 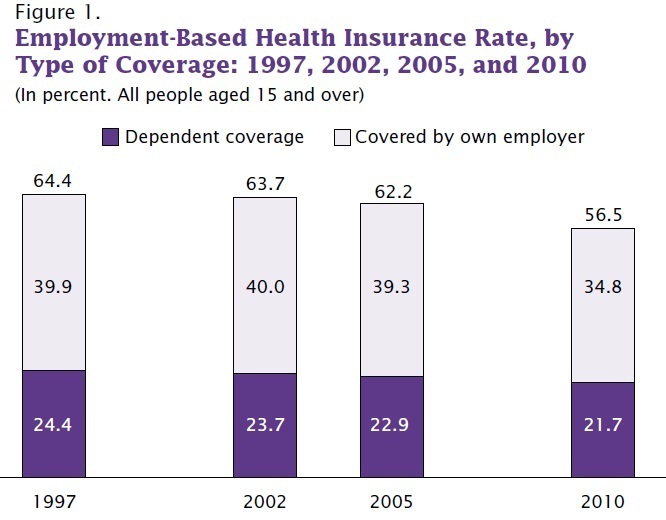 "Less than one half (45.3 percent) of people working in firms with fewer than 25 employees received health insurance benefits compared with 88.8 percent for people who worked for firms employing 1,000 or more employees ..."
Of course, the limitations of employer-provided health insurance are not sufficient to prove that the Affordable Care Act passed into law in 2009 is a useful solution. 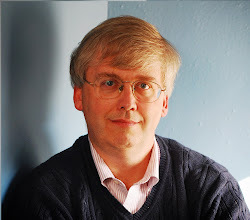 Indeed, the looming presence of that act soon to take effect, together with the economic wreckage of the Great Recession, may help to explain the drop-off in employer-provided health insurance in the last few years. But whatever the limitations of that legislation, the shortcomings of employer-provided health insurance are very real. If you feed any industry with enormous tax breaks, especially especially an insurance industry that separates both providers and ultimate consumers from facing costs directly, you are likely to get high levels of spending that, on the margin, bring only very slight benefits.